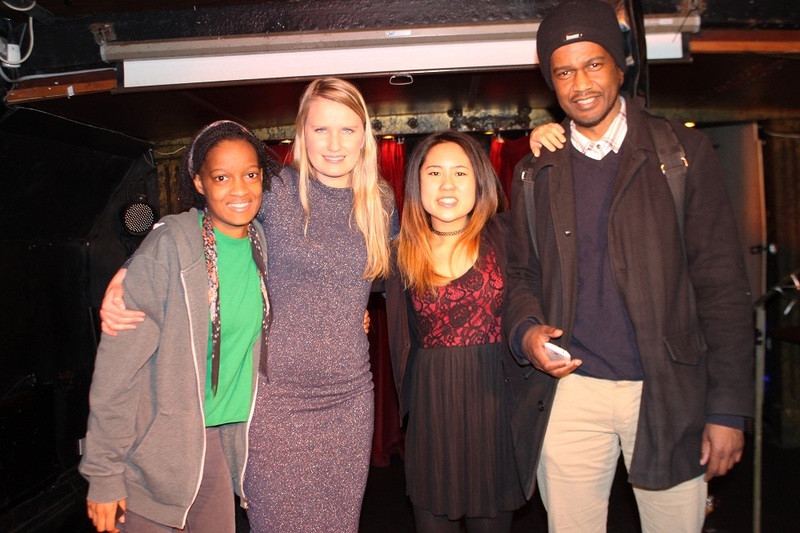 Yesterday was my first show in London. Can’t believe it’s taken me so long to get down there. Actually, I can. I’ve taken time off, started back up several times. Things feel good now, like I’m in a good place. 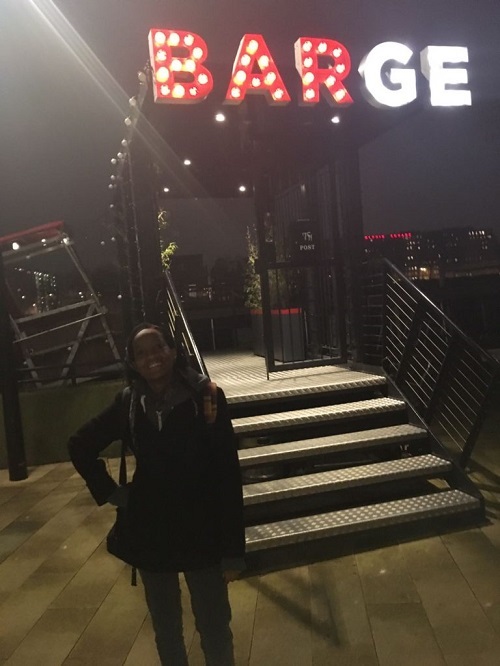 When you’re at this early point in your career, where not many people know you, any time you put on a gig that you solely organize yourself, you’re not sure if or how many people will come, but pretty much every seat on the Battersea Barge was taken. Half were family and friends of us, the musicians. So much gratitude for that. (If you’re related to or friends with someone doing a similar thing, in whatever field, support them any way that you can – they need it more than you’d think.) And the other half of the audience were people I’d never met before… Really not bad for an out-of-towner. Thank you to every single one of you – I hope you enjoyed my music as much as I enjoyed playing it to you. The Battersea Barge looked after us well, as did Phil, the sound engineer. 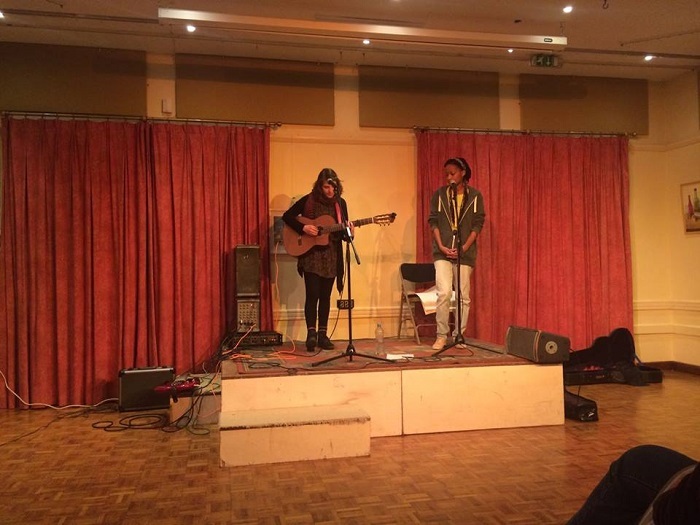 I’m thankful Karin and I finally got to do a gig together after meeting in Bristol four years ago (that woman’s voice). Definitely want to come back. This is not my most eloquent and smoothly-thought-out post, but if I did one of those, I’d use five times the words and you and I both don’t want to be here all day. I used to have a mailing list and there I’d expand a lot more. Maybe I’ll set that up again in the future. But for now eleanorvs.com is where it’s at. 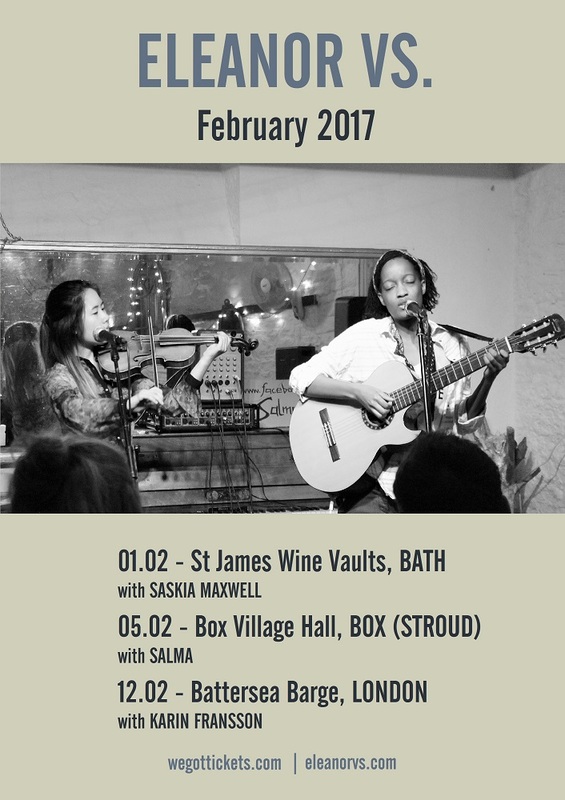 2 out of 3 of my headline gigs this Feb done – had a good two shows in Bath and Box with Saskia Maxwell and Salma, respectively. I booked these months ago and it’s come around quickly. One more to go this Sunday 12th in London at Battersea Barge with Karin Fransson and Annalise Lam accompanying me on violin, 7 PM £6 adv/£7 otd – tickets here. 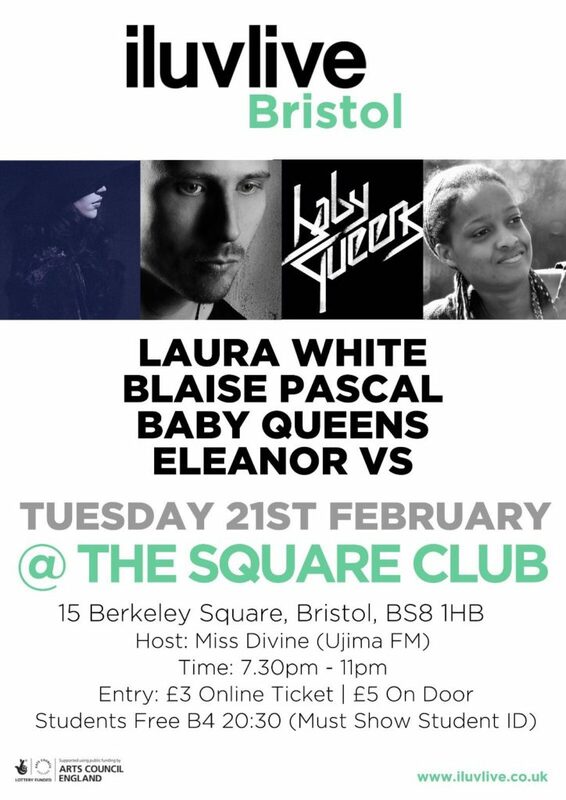 Tomorrow Tuesday 7th, Salma and I are supporting The Layers and Hidden Gentlemen at The Louisiana, Bristol, 7:30 PM – tickets here or £6 otd. 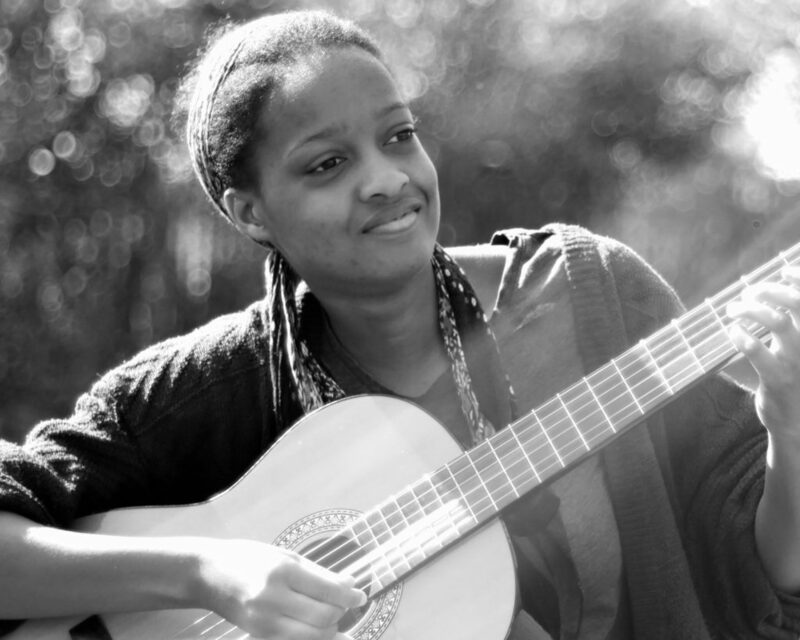 And February 14th I’m singing at Viva La Mexicana in Bedminster, Bristol so come down for a lovely Mexican meal and music for Valentine’s Night from 7:30 PM. In the meantime, you can find me on my socials.